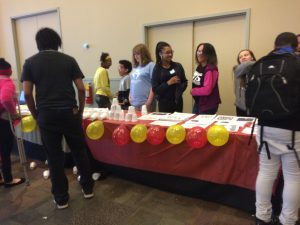 Today dozens of middle school students gathered at the Pittsburgh Heinz History Center to share the results of a year’s work on Stand Together, a project to educate other students at their schools about the challenges of mental illness and substance use disorders, and to break the stigma of talking about mental health in ordinary conversation. The program is coordinated by Allegheny County’s Office of Behavioral Health and is run by just three staff members. 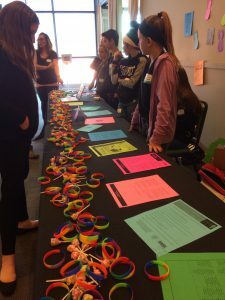 Stand Together has been so successful at breaking down isolation among students with anxiety, depression, ADHD and eating disorders—the four most common mental health problems among students today—that the program now has a waiting list of schools wanting to get in on the action. It was super inspiring to see so many students show such openness to talking about mental health and willingness to bring positive messages to their peers! Congratulations to Stand Together! 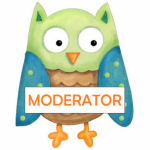 Have you ever advocated among your own peers at school to help break stigma and create more open dialogue about mental health? What kind of a challenge was that? Let us know in the comments! Continuing the Conversation: Who to go to first?